Wahl Clipper Oil is specially formulated to keep clipper blades clean and lubricated. Apply to teeth and blades surface to enhance performance and extend life. 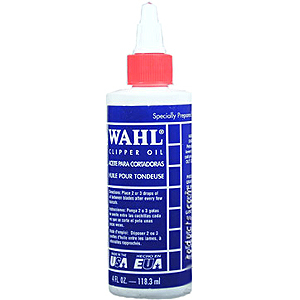 Wahl Clipper Oil especially prepared for Wahl Electric Clippers. Place 2 or 3 drops of oil between blades after every few haircuts.